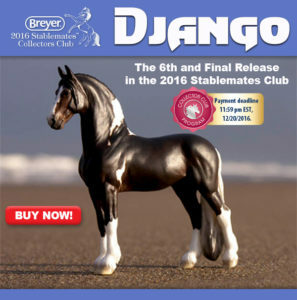 Home » Model Horse	» Breyer Stablemate Club Django Is Ready To Order! 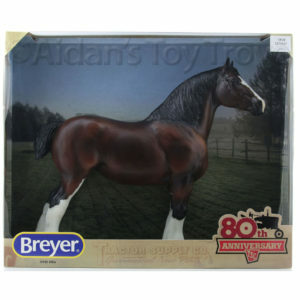 The Breyer Stablemate Club Django is at long last available for order! 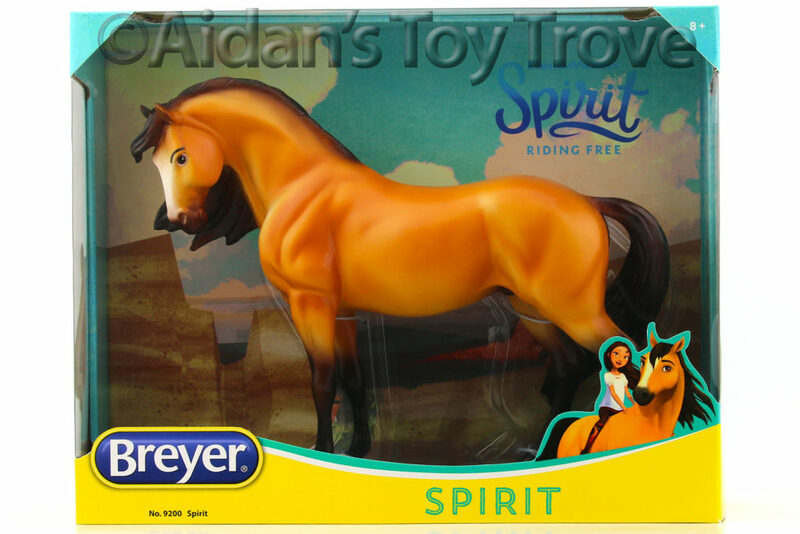 This horse is the reason that I joined the 2016 Stablemate Club. To say that I love Josine Vingerling’s work would be a huge understatement. 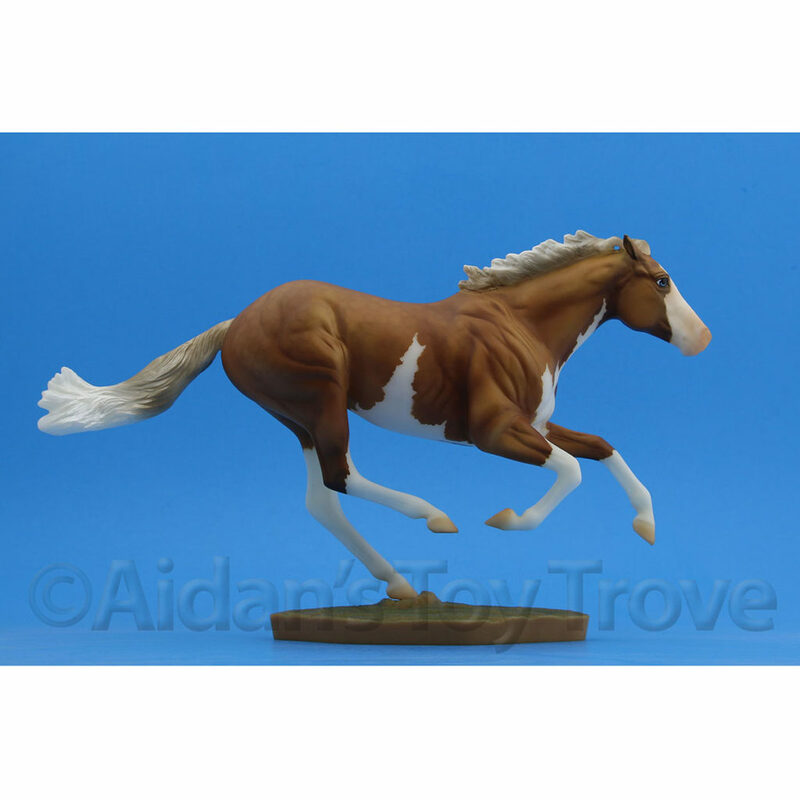 In fact, I have an Alborozo with Josine being painted to one of her trademark dapple greys. I’m very excited for this one too! 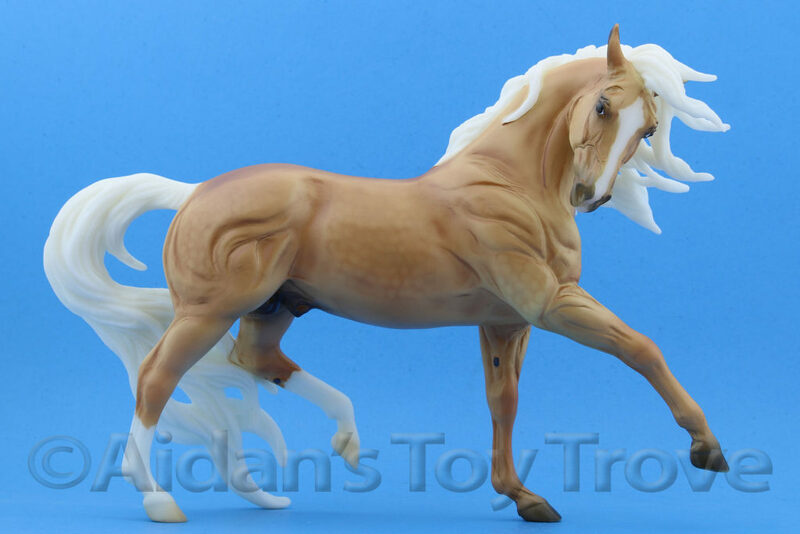 Django is a brand new sculpt by Josine Vingerling. 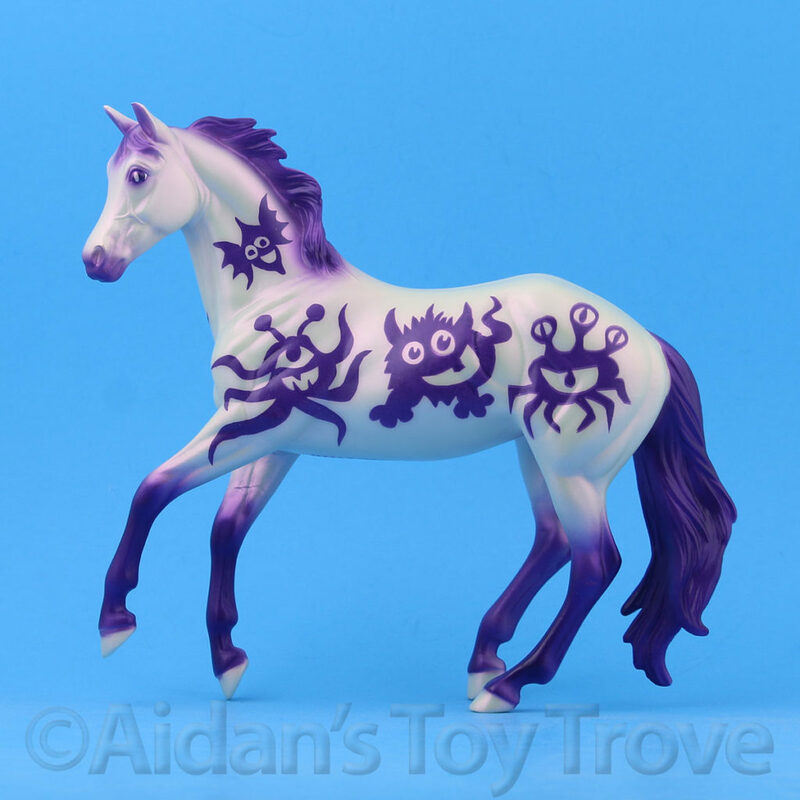 On top of being a top notch painter, she is a talented sculptor. 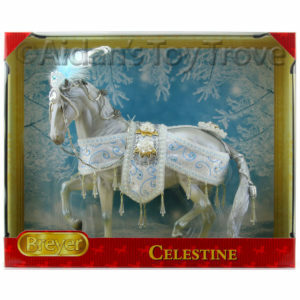 Some of her most popular resin sculpts have been Baroque breeds. Just like Django! 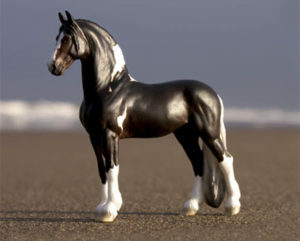 Django is a bay pinto Friesian cross. 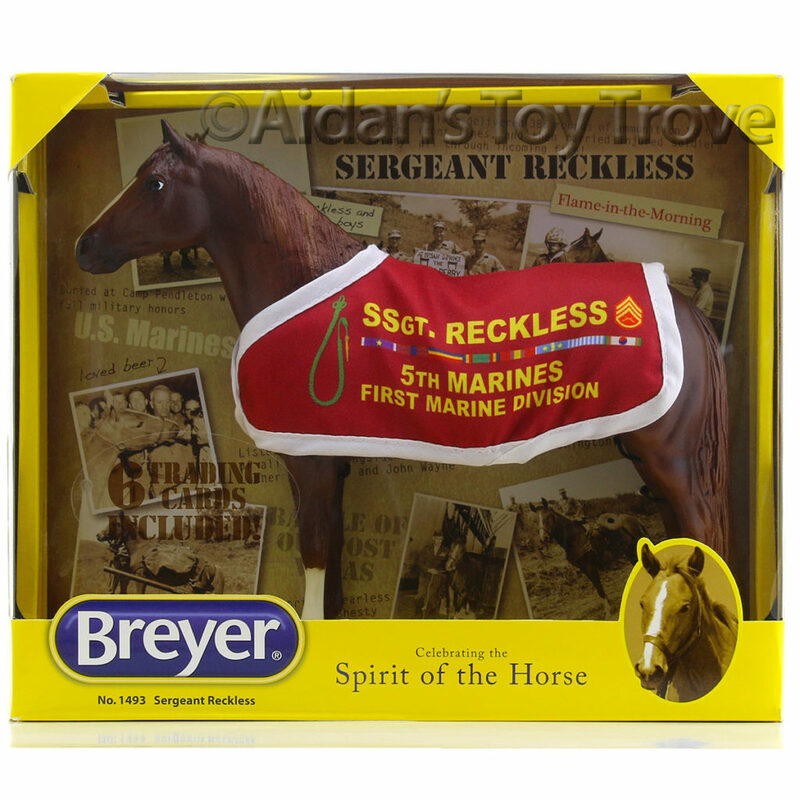 Part of me wishes that Breyer would have just left him black but you won’t hear me complaining. Who was your favorite 2016 Stablemates Club Horse? 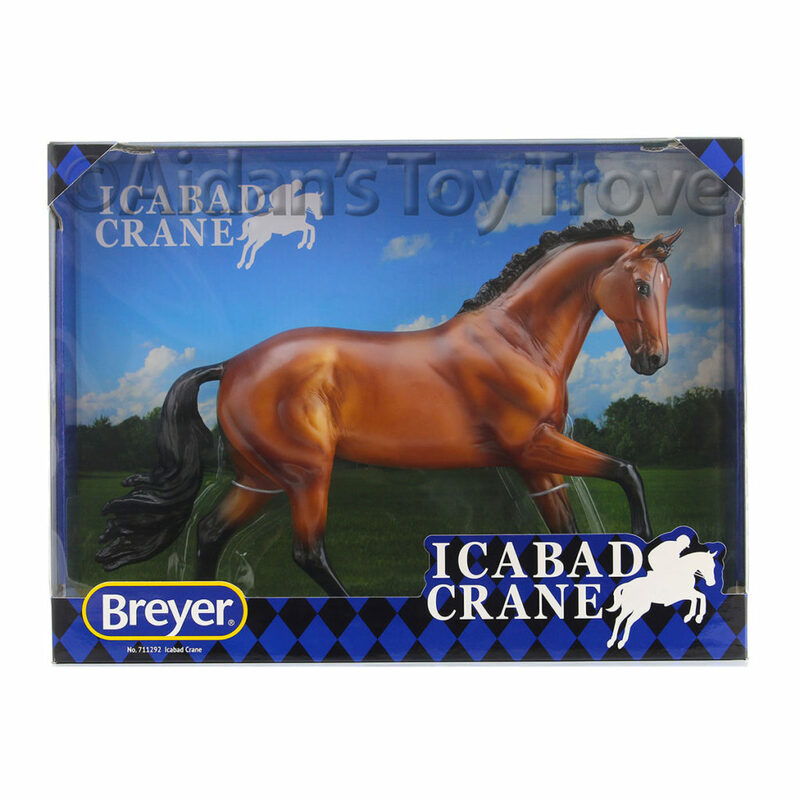 Will you be joining the 2017 Stablemates Club? Meet Django! 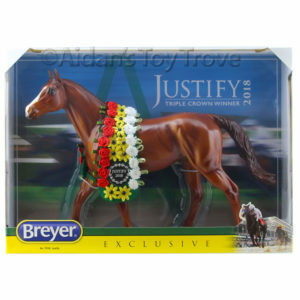 Sculpture and decoration design by Josine Vingerling, exclusively for members of the 2016 Breyer Stablemates Collectors Club! 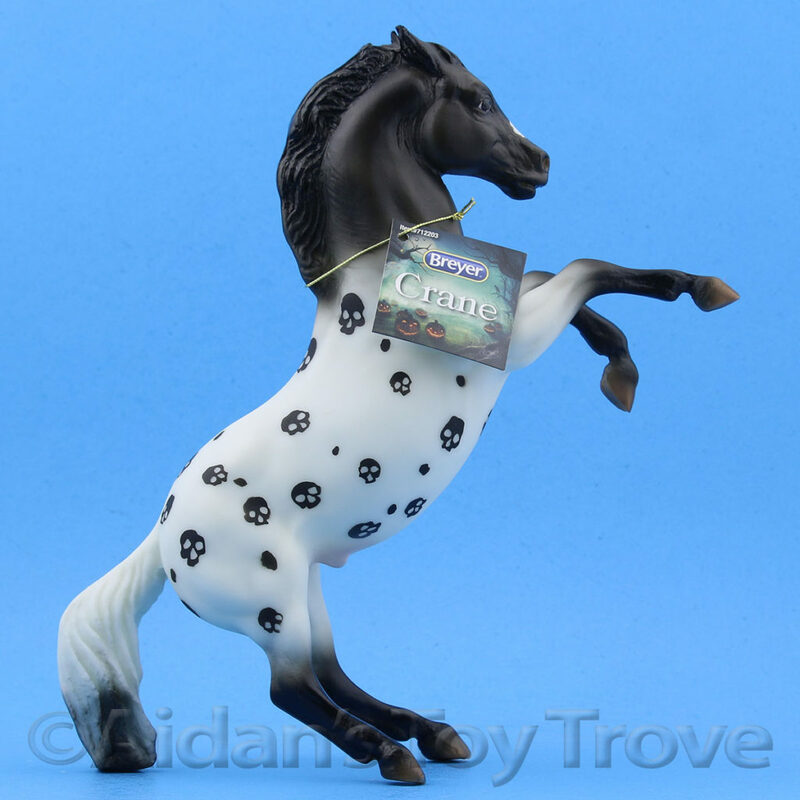 This lovely Friesian cross is a beautiful mahogany bay tobiano pinto and will be an exciting new addition to your Stablemates collection. 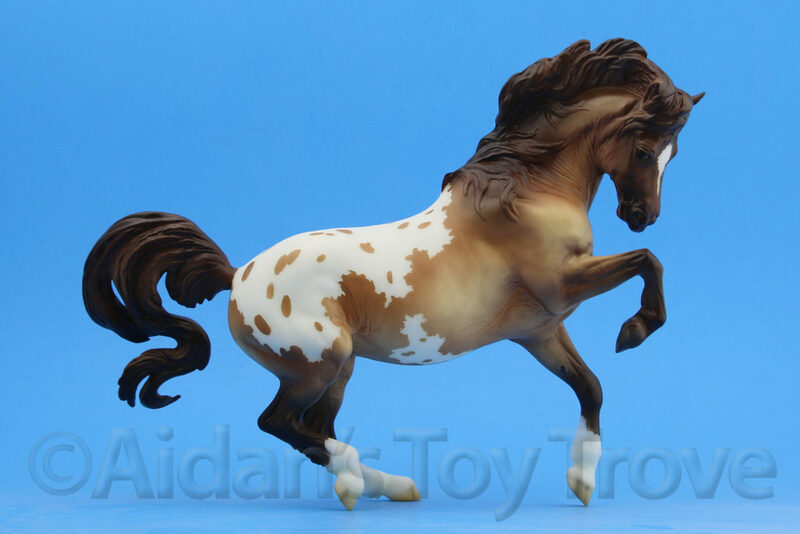 For those of you wondering, yes, I will have a couple of Django’s available for sale but I have not priced them yet. 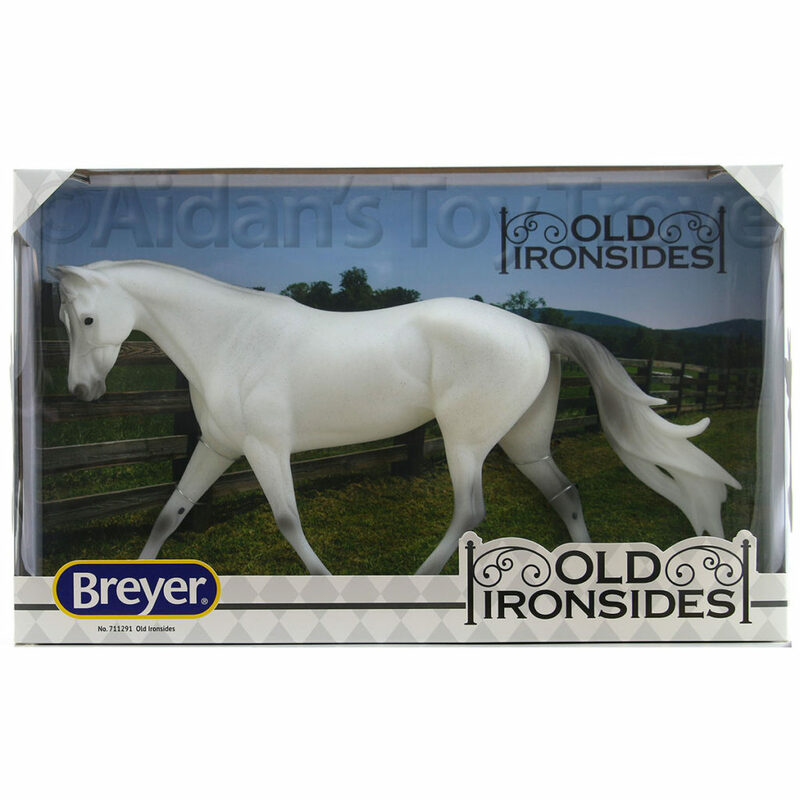 Please inquire privately aidanstoytrove@gmail.com if interested. 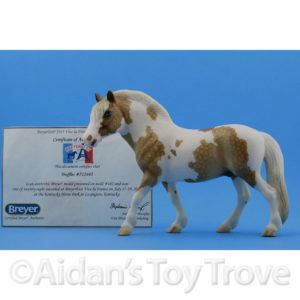 2 Responses to Breyer Stablemate Club Django Is Ready To Order! 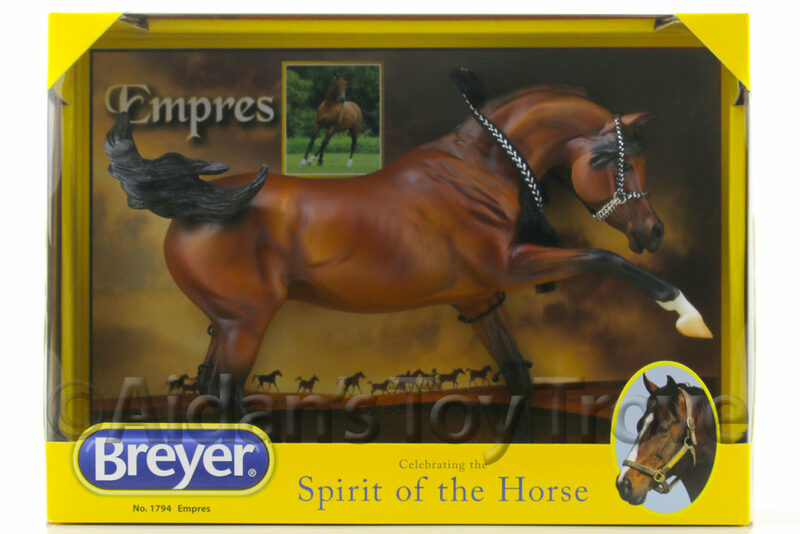 « Breyer Premier Club YASMIN Is Available To Order!